Many queer kids grow up wishing that pop lyrics had a different pronoun, that music videos depicted people like them, that queer artists could have the confidence in their sexuality that straight ones did. Troye Sivan continues to emerge as his generation's answer to those prayers. Sivan started out as a successful YouTuber and began releasing music in 2014, with his first EP titled TRYXE. He came out on YouTube back in 2013, and his music videos for songs like "YOUTH" and "WILD" didn't shy away from showing Sivan with a male love interest. His newest video, the first in nearly a year, leaves behind the soft colors and innocent images of his 2015 videos and depicts a confident, unapologetically queer icon. Flashing lights shroud the South African-Australian singer as he dances under a streetlight, up stairs and in an empty warehouse alongside shirtless men. In the second verse, Sivan lies on silk sheets in orange and blue light, singing, "I've got your tongue between my teeth." It's an infectious celebration of sexual desire. "My My My!" shows Sivan at his most confident, clearly having fun with his grittier, sexier image. 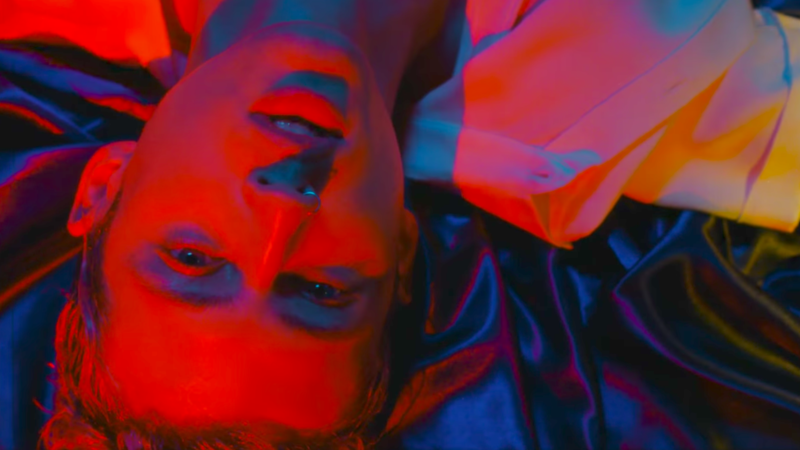 It's not every day you see a young, skinny, queer kid get to be completely himself in a music video, and Sivan makes us want to dance along with him.